After a disappointing July for Pokemon fans in the Philippines, Pokemon GO is now officially UP in the country. Together with other asian countries like Singapore, Malaysia, Thailand, Vietnam, Cambodia among others. I'm excited since last year when it was first announced but it was not released in the Philippines in July. I remember Pokemon way back the 2000's when we rented a VHS copy of the First Pokemon Movie. Where Ash turned to stone and Pikachu cried (tissue please). Then the Pokemon series aired in GMA 7 everyday where we follow the adventure of Ash and the whole crew. While I'm not really into the Pokemon craze with the trading cards and all, I'm introduced with the Pokemon game. I first played Pokemon in Gameboy Advance. 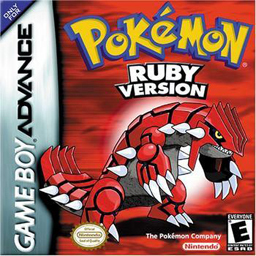 It's Pokemon Ruby that started it all for me. Exploring Hoenn region, collecting pokemon, finding Latios and Latias plus Groudon. It's short lived because I need to sell my Gameboy Advance. Moving forward, I'm introduced to Pokemon again thru the Nintendo 3DS. The burning flame to be a Pokemon Master ignited again. I played Pokemon Platinum which is the enhanced version of Diamond and Pearl. I played everyday until I got Giratina. Later in 2013, a new Pokemon title was released, Pokemon X and Y. The whole game changed a lot from graphics, Fairy type Pokemon and also Mega Evolution. After X and Y the remake of Omega Ruby and Alpha Sapphire (ORAS) came out after almost a year. Enough backstory and back to Pokemon GO, I woke up today, FB tagged by an officemate that the Pokemon GO server in the Philippines is up. I'm still in bed and thinking it's a hoax I checked the Apple Store and it's true. Honestly, my excitement level for Pokemon GO has subside a little. I'm busy playing the Delta Episode of Alpha Sapphire a few days ago and I'm eager to get some more Pokemon in the game. I really wanted to go out now but my urge to play Pokemon GO or Pokemon Alpha Sapphire is just the same. For my starter in Pokemon GO, I choose Charmander. FYI, the three Pokemon that you encounter in the first part of Pokemon GO is your starter options. You cannot catch them all, well for the meantime. You just need to choose one. Just like in all Pokemon games. Pokemon GO bring a whole new perpective in gaming. There are lots of news about Pokemon GO and negative feedbacks also . Just like other games it should be play in moderation and with your brain working. Do not be so foolish in playing interactive games such as Pokemon GO. The game also encourage people to travel and get their butts off the sofa. Some business establishments are also making Pokemon GO work for them. Overall, this is a new experience for all of us. Let's us just enjoy the moment, be careful and be good to our fellow trainers. Now it is time to GO out and catch some Pokemon. Foodie Day Out is going OUT. Follow us on Facebook for food travel and everything else in between. The improved functionality hanging out allows there's a feeling that you're catching Pokemon within the real existence. I never understood why the modern version of the Pokemon has become so popular, for one simple reason I do not like it, because I think that the retro version is much more interesting and much more exciting. In order to play the old version of the game on my phone, I just use gba roms android https://romsmania.com/roms/gameboy-advance, this is very simple way to play.